I’ve never wanted to do one thing or live in one place for the rest of my life. I get bored quickly, so I like to keep my options open. When a decision is forced on me, I tend to panic, over-analyze, and immediately regret my choice. When I had to choose which colleges to apply to, I made an initial list of 109 schools and devised my own ranking system using 13 different-colored magic markers. I eventually settled on Tulane University, the “Harvard of the South” and the esteemed alma mater of such notables as Ruth Ginsberg, Newt Gingrich, and Jerry Springer. It was a complex decision, but the key selling points were warm weather, an unenforced drinking age, and the fact that I could go there for free. I assumed the tough decision was behind me and I could procrastinate for a few years before declaring a major. But then Tulane informed me that if I wanted to enter the School of Architecture, I had to decide right away. It seemed ridiculous that they would expect me to know whether or not I wanted to be an architect. I had to go to the library to find out what an architect actually did (Google came into existence about a month later). I tried to imagine myself conducting feasibility studies, preparing drawings, and developing construction plans. I seem to remember borrowing a T-square and sketching a few ugly buildings. In the end, I went with the odds. Between “Architect” and “Not Architect,” I figured my calling probably fell into the latter. Years later, I lived in a high-rise located directly across from the Chrysler Building. The apartment offered an up-close view of the elaborate silver crown with its seven terraced arches. Every time I looked out the window, I felt a pang of regret. I used to say that nothing was out of the question, but the older I get, the harder it is to lie to myself. 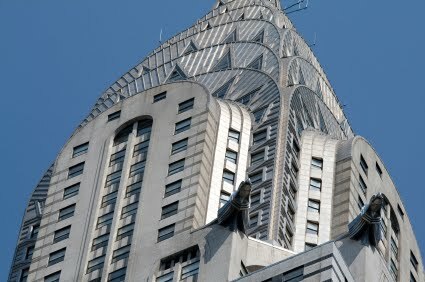 Realistically, I will probably never design an art deco skyscraper. Or go to an Ivy League institution. But, hey, I might still learn to play the flute. I can't believe you still have the original college pros-and-cons document! Great post! This reminds me of something a grad student said to me when I was working a campus job during undergrad. He drew a little sketch on a napkin and said that life is like a bike wheel. We start in the middle and as we choose a path (or a spoke) and move down that path, the further we get from all the other paths we could have taken. I found it disheartening then as a college sophomore. And I find it disappointing now ten years later as it becomes more and more a reality. But I can't help clinging to the romanticized thought of dancing and skipping across the spokes. I like the quote "It's never too late to be what you might have been."